Dayyan and ḥazzan at Posen toward the end of the seventeenth century. 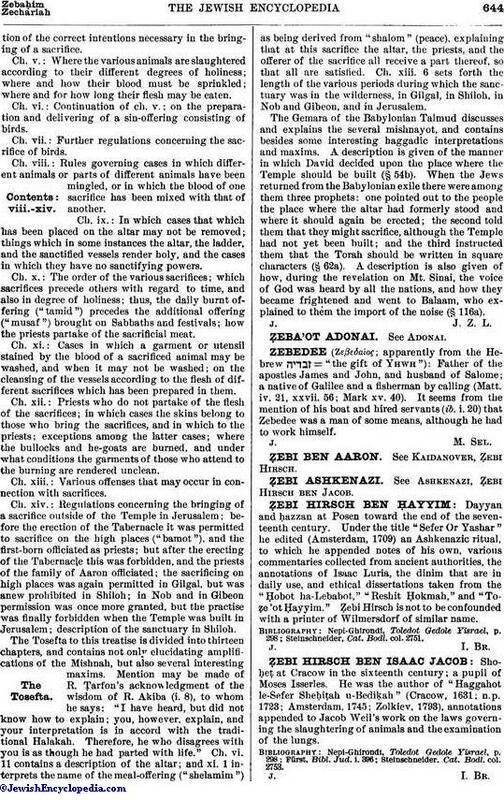 Under the title "Sefer Or Yashar" he edited (Amsterdam, 1709) an Ashkenazic ritual, to which he appended notes of his own, various commentaries collected from ancient authorities, the annotations of Isaac Luria, the dinim that are in daily use, and ethical dissertations taken from the "Ḥobot ha-Lebabot," "Reshit Ḥokmah," and "Toẓe'ot Ḥayyim." Ẓebi Hirsch is not to be confounded with a printer of Wilmersdorf of similar name. Steinschneider, Cat. Bodl. col. 2751.